Tickets to the 2019 Telluride Jazz Festival are on sale now! Don't miss out. Buy early and save! Join us for three days and nights of world class jazz, funk, soul, folk and gospel, along with on-site camping, free yoga sessions, cozy late night club shows, interactive artist performances, children's activities, outdoor recreation, and so much more. For more info, click here. We are proud to welcome Trombone Shorty & Orleans Avenue, Lettuce, Robert Randolph & the Family Band, Victor Wooten Band, Turkuaz, Cha Wa, and many more to the 2019 Artist Lineup! To explore the lineup, click here. 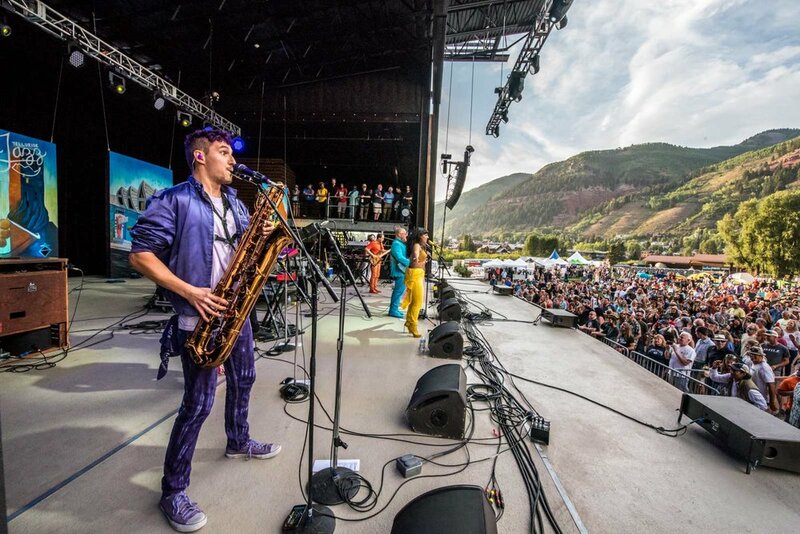 Don't just go to the Telluride Jazz Festival, be a part of it! We are always looking to welcome volunteers, partners and media. 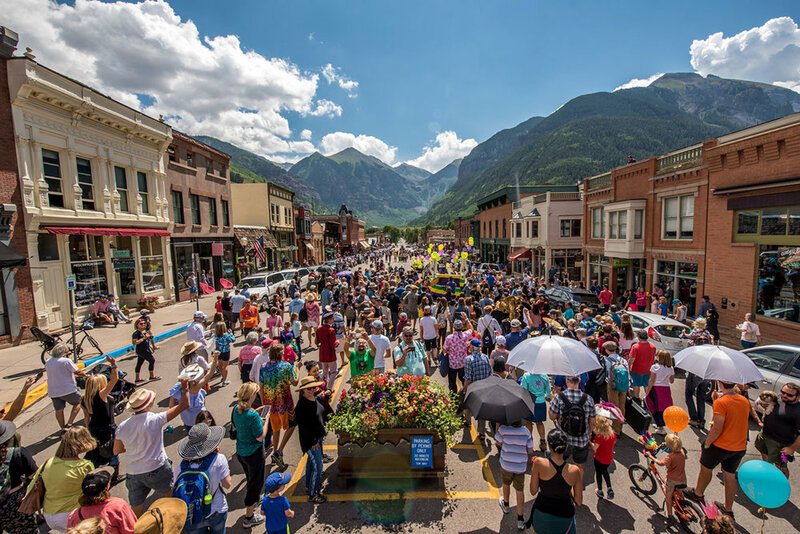 Join the festival community, the musically-charged local culture and become a part of the 43 year history and see for yourself why the festival is a prized gem of the Rocky Mountains. Volunteer applications are now open! Click here to apply now. Since 1977, Telluride’s majestic perch high in the San Juan Mountains of southwestern Colorado has been the site of an annual cultural event combining the finest pristine natural aesthetics with boundless artistic creativity. 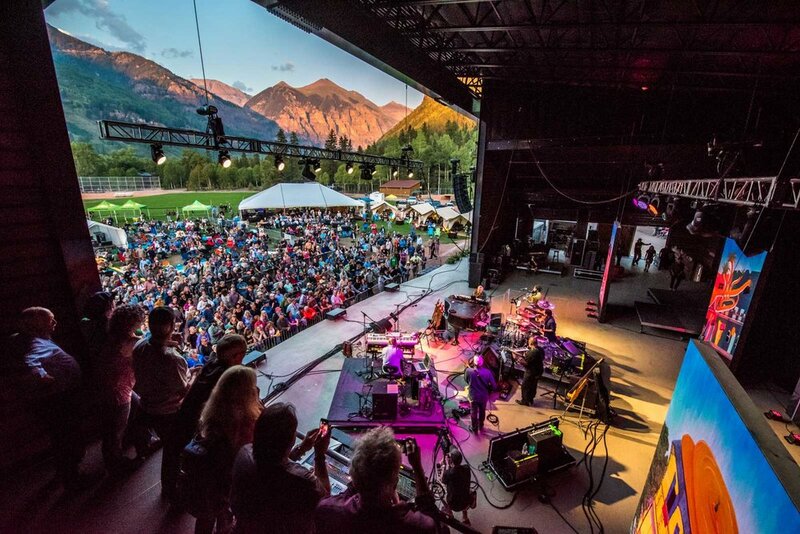 The Telluride Jazz Festival ranks among the world’s most scenic music events in the country. Add on the desirable intimate format and abundant offering of alpine recreational activities to historical performances and the result is an immersive live music experience that has brought audiophiles from around the world for over four decades.